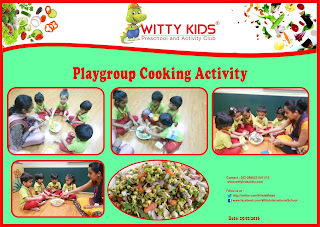 Witty Kids has always emphasized on good health and healthy eating habits for children. 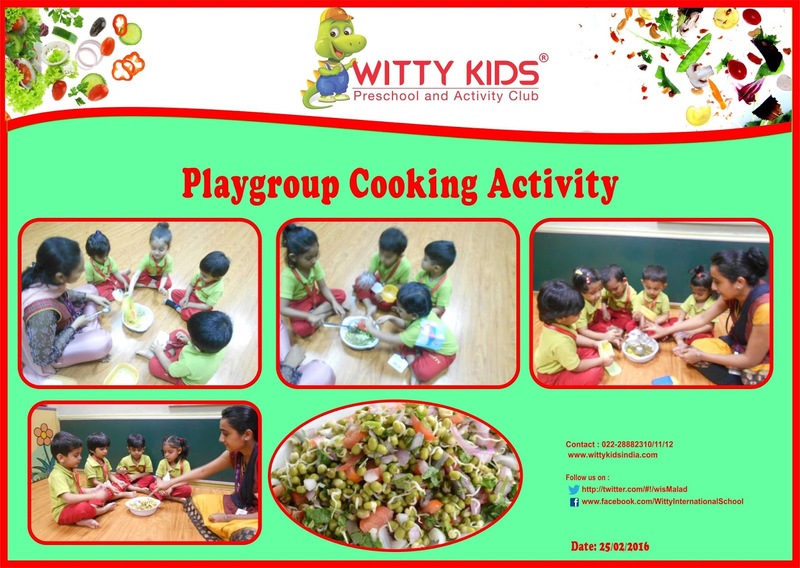 To further inculcate this habit “Healthy Salad Day” was organised for the little Wittians of Playgroup class on Thursday, 25 February 2016. The little chefs had brought different chopped vegetables like tomatoes, boiled corn, cucumber and boiled sprouts in their tiffin. They mixed all the ingredients in a bowl and garnished it with coriander leaves. Children enjoyed making, sharing and eating the yummy ‘Healthy Bhel’!